Psoriasis is a common skin condition that causes skin redness and irritation. It is time tested topical solution for effective management of psoriasis, chronic exfoliative dermatitis, dandruff and topical fungal infections. Apply liberally on the affected areas. For external use only. Psoriasis, dandruff and other scaling and fungal skin infestations. Each 100ml is prepared out of: Wrightia tinctoria leaves (Hayamaraka pathram) 250 grams, Cocos nucifera oil (Kerajam) 100 ml. External Use: Apply on the affected areas 30 to 60 minutes before bath (without using soap). Arsenicum Album, Borax, Kali Arsenicum, Psorinum, Graphites. Soriafit Oral Drops effectively helps to treat psoriasis in both acute and chronic conditions. It also helps to relieve inflammation. It helps to control itching and burning. It reduces dryness and scaling of skin. It prevents relapse and recurrence. Kalongi in English is called ‘Black Seed’ and in Arabic ‘Habbatus Sauda’. It contains in abundance Amino Acids, Phosphorus, Iron, Carotene, Albumin and bittering elements etc. 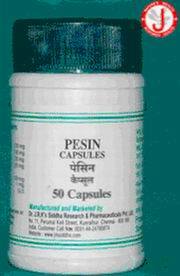 Benifits: It is useful in allergy, joint pains, arthritis, stomach problems, kidney pain and infection, headache, falling of hair, piles, earache, dental diseases, anaemia, cough, skin diseases, lack of sleep, psoriasis, acidity, constipation etc. Neem oil, Karanj oil, Haridra, Kali Mirch, Shwet Kutaj, Vasa, Kantakari, Guduchi, Chakramard, Katu Patol, Manjistha, Haritaki, Bibhitaki, Amalaki, Ushir. Alstonia scholaris, Hedyotis corymbosa, Cassia fistula, Picrorhiza kurroa, Acorus calamus, Terminalia chebula, Emblica officinalis, Caesalpinia sappan, Cyclea peltata, Curcuma longa, Coscinium fenestratum, Hemidesmus indicus, Piper longum, Tragia involucrata, Bacopa monnieri, Cyperus rotundus, Asparagus racemosus, Glycyrrhiza glabra, Vetiveria zizaniodes.